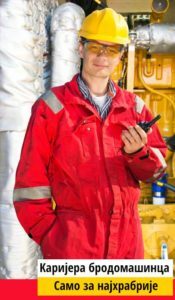 Faculty of Maritime Academic Studies, Belgrade is ISO 9001:2015 certified by international certification authority Det Norske Veritas and Germanischer Lloyd – DNV GL. 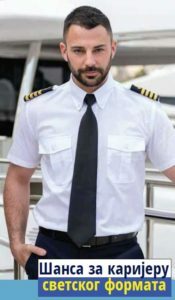 Our academic programs, Nautical Studies, Ship Engineering and Port Management are fully compliant with IMO course models of International Maritime Organization hence our academic programs are fully compliant with STCW convention. Also, our academic programs are fully compliant with EU regulations of inland water traffic. 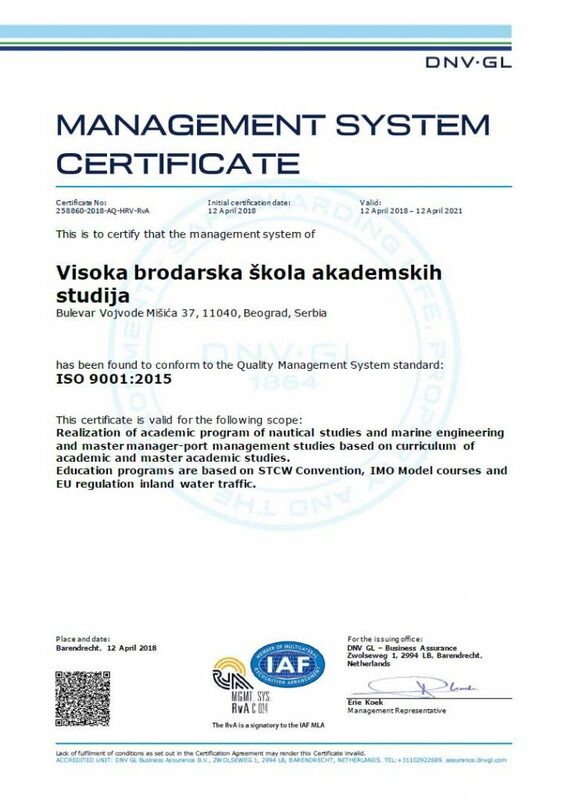 This certificate is important step in process of affirmation of Faculty and maritime studies in Republic of Serbia.